So it feels like 2012 flew by in a whirlwind of activity. It's been a slow start as the holiday season was pretty non stop I feel like I've earned a little break. Still even as I lie in bed I get an idea for a card, I know pen and paper by the bed, write it down. (Of course theres no pad of paper ,im not that organized.) In order to be able to stay tucked up and warm, yes folks even in Southern California it occasionally gets cold and unlike London there's no central heating so it's all about the layers and hot water bottle and if I'm really lucky Sanford earns his weight in gold by being a heat source. So this idea I don't know where it came from but in my head I'm like "that's funny it could work" but I don't want to get up so if its memorable I'll remember it in the morning. I then can't stop my brain from thinking about other puns, should have bitten the bullet and written them down... A few hours later I'm up and I can still remember the idea, I run it past my pun panel and it gets the thumbs up. The drawing is done same day et voila. 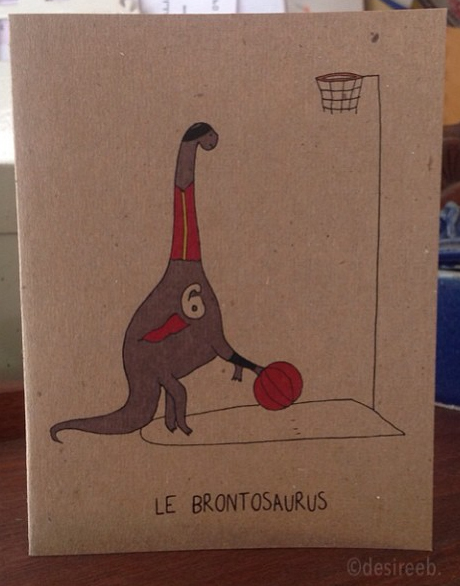 Le brontosaurus is born. Sometimes things happen pretty fast, other times they get mulled over and months later surface. Ugghh new year also means time to hit the accounting ! What you mean you thought I did it every week, entering all those receipts I wish I have a small Mount Etna of receipts to input into Quickbooks which cheers you on with this almost applause like sound every time you enter one in.... In other news I made the resolution to try new things, so with that in mind I bought a ceramic pen. 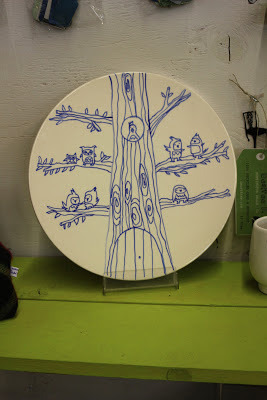 I have dabbled in Ceramics and while I wish I could make magic using a wheel I'm much better coiling but the part I like the most is embellishing and decorating. So why not skip the clay part and go directly to fun. This is going to be a new line I think. The beauty of having a shop is that you can test your product out next day pretty much, I'm very excited about the potential. So I have a confession, all the xmas craziness has left me sewn out, I need a break from sewing to recharge the batteries. I don't want to ever feel that what I'm doing is a chore so I've been making little pouches and gathering more wool to get inspired all over again but mostly it's back to the drawing board literally with lots and lots of bad puns/some good and ideas on a page. 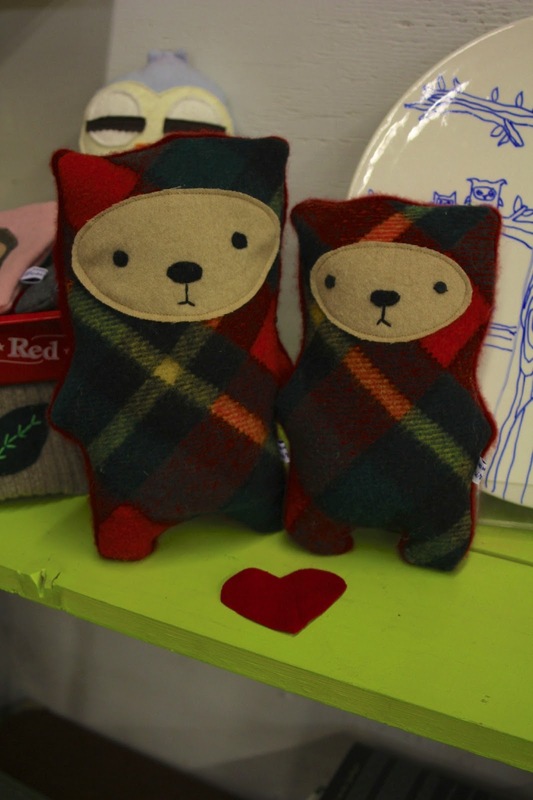 There are some exciting developments an Artwalk on February 1st at Green Bliss Cafe, note to self get sewing! No sooner is Xmas over than Valentines is creeping up.